Pura Vida Patagonia has a great variety of Patagonia kayak trips. There are combined trips such as kayaking + trekking, kayaking + yoga, kayaking + horsebackriding among other options. For kayak + Trekking we offer an excellent paradise for hiking lovers combined with the Patagonia Argentina kayak. An important variety of trails that cross virgin forests hills and outstanding waterfalls, provide an excellent view of lakes Gutiérrez and Mascardi. These trails lead to different waterfalls and points of view that can be joined in longer circuits. For this trip a hike of 1 hour and a half is made by roads that lead to the viewpoint of Lake Mascardi and the watershed. This path is historic and has an impressive view in this type of kayak Patagonia Argentina. 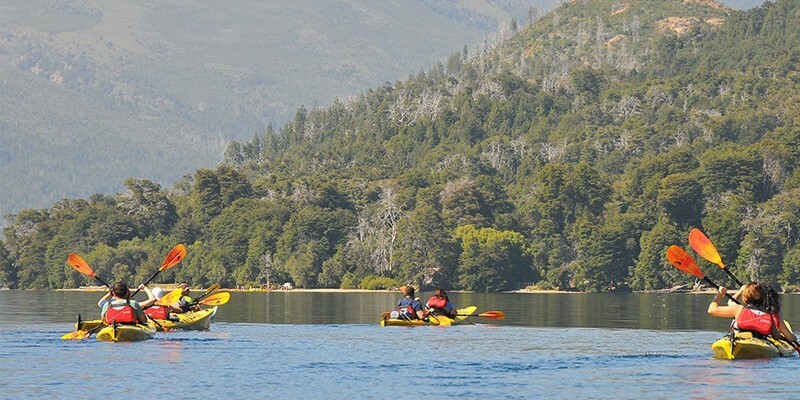 Patagonia kayak trips has a low-medium level of difficulty, combining kayaking and trekking at a relaxed pace, always keeping close to the shores of the lake, with the appropriate safety equipment. Ask for advice on Kayak Patagonia Argentina at info@puravidapatagonia.com or complete the form.